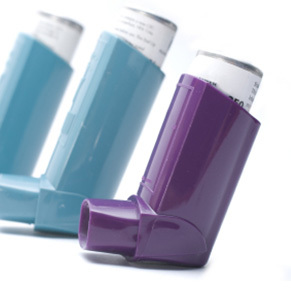 Preventer inhalers are used to treat chronic asthma. They need to be used on a daily basis to prevent asthma symptoms such as wheezing and coughing as well as dangerous asthma attacks. Preventer inhalers can contain corticosteroids to reduce inflammation as well as a long-acting bronchodilator (a medicine which keeps your airways open). They can contain one ingredient or a combination of two active substances. We offer a fast and safe way of ordering a repeat prescription for your preventer inhaler without seeing your GP. To place your order, fill in our brief questionnaire. Our online doctor will review your order and confirm whether you can continue your treatment. We offer prescriptions for all common inhalers. You can use your prescription from Superdrug Online Doctor to buy your preventer asthma inhaler at any pharmacy in Ireland. What are preventer inhalers for? Preventer inhalers are usually prescribed if a reliever inhaler such as salbutamol does not suffice to control your asthma symptoms. This may be the case if you are experiencing symptoms at night or if you suffer from asthma symptoms more than three times a week. You may also be prescribed a preventer inhaler if you suffer serious asthma attacks or if you have to use your reliever inhaler several times a week. Preventer inhalers do not usually provide fast relief from symptoms but when used over a long period of time they prevent symptoms and asthma attacks. Some preventer inhalers, however, can also be used to treat acute symptoms. Your GP will advise you on how and when to use your inhaler when you receive your original prescription. How do preventer inhalers work? How your inhaler works depends on which ingredients it contains. It may contain a steroid or a long-acting bronchodilator or a combination of the two medicines. Long-acting bronchodilators dilate your airways, making it easier for you to breathe. Inhalers which contain steroids reduce your risk of asthma symptoms by reducing swelling and inflammation in the lungs. Brown inhalers are a type of preventer inhaler, which contains a steroid. Like other preventer medication, brown inhalers have to be used on a daily basis. Your GP will decide which brown inhaler is best for you and tell you how often you need to use it. It is important that you follow your GP’s instructions carefully. You must not stop using your brown inhaler unless your GP has advised you to, even if your symptoms have improved. Your GP will decide which medication you require. Depending on how well your medication works for you, your GP may change your asthma inhaler or the dosage you take on a daily basis.